Omaha, Neb. - Providing the best treatment for prostate cancer and furthering research into one of the most common cancers among men is the focus of a $5 million gift to the Fred & Pamela Buffett Cancer Center from the estate of Nebraska native Glenn Korff. After skin cancer, prostate cancer is the most common cancer in men in the United States and is the second leading cause of death from cancer in men. In Nebraska, it’s the third most diagnosed cancer behind breast and lung. While a serious disease, 77 percent of Nebraska prostate cancer cases are diagnosed at an early stage of disease, providing opportune time for successful treatment options. 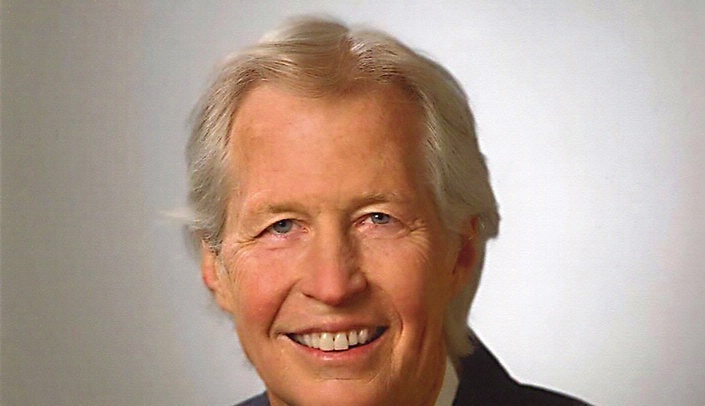 Leading the era of precision medicine - basing diagnosis and treatments on the genetics of an individual - the Korff estate gift establishes the Glenn Korff Precision Medicine Prostate Cancer Center of Excellence Fund at the University of Nebraska Foundation. It will provide the Fred & Pamela Buffett Cancer Center with expendable funds needed to help recruit top urology cancer specialists and other nationally-recognized scientists while helping the University of Nebraska Medical Center (UNMC) and Nebraska Medicine, its clinical partner, obtain the latest equipment used in prostate cancer patient care and research. In honor of Korff, who died in 2013 from complications of prostate cancer, the Fred & Pamela Buffett Cancer Center will name a floor in his honor within the new cancer center’s Suzanne and Walter Scott Cancer Research Tower. "The gift from the Korff estate will immediately impact and expand our expertise in researching and treating prostate cancer," said Jeffrey P. Gold, M.D., chancellor of UNMC and chairman of the Nebraska Medicine Advisory Board. "This gift will directly support our mission to lead the world in transforming lives in premier educational programs, innovative research and extraordinary patient care. We are extremely thankful for the Korff estate’s generosity." Ken Cowan, M.D., Ph.D., director of the Fred & Pamela Buffett Cancer Center, said, "This generous gift will have tremendous impact as we recruit nationally recognized leaders in prostate cancer research to the Fred & Pamela Buffett Cancer Center and develop new therapies for prostate cancer. I understand Mr. Korff was very proud of being a Nebraskan and would be proud that this gift will impact prostate cancer research and care in Nebraska and beyond." Currently under construction, with completion scheduled in the spring of 2017, the 615,000 square-foot, $323 million Fred & Pamela Buffett Cancer Center will include a 10-story research tower and an 8-story inpatient treatment center and multidisciplinary outpatient center. It is one of the largest projects ever for the state of Nebraska and the largest for the University of Nebraska, and it’s made possible through a combination of state support and private donations. A native of Hebron, Neb., Korff lived in Boulder, Colo., and graduated from the University of Nebraska in 1965 with a chemistry major and was a member and former president of Sigma Phi Epsilon fraternity. He went to the University of Pennsylvania to receive an MBA in finance in 1968 and enjoyed a long career in the area of finance and investments, retiring from Goldman Sachs. Over the years, Korff expressed gratitude for the education he received at the University of Nebraska by giving of his time through various volunteer positions as a trustee of the University of Nebraska Foundation, including his service on an investment committee. He and his family have made generous philanthropic investments in the university. Korff established a permanent endowment in 2013 to provide annual support for the Glenn Korff School of Music at UNL’s Hixson-Lied College of Fine and Performing Arts. His estate established an endowment in 2014 to provide ongoing support for Broadway productions at the university’s Lied Center for Performing Arts in Lincoln. Previously, Korff and his brother, Ken Korff, made a major gift to support the UNL College of Business Administration’s new building currently under construction with a gift to name an auditorium in honor of their father, NU alumnus Paul Korff. The Korffs also created the Paul W. and Esther L. Korff Family Fund and the Richard D. Brenning Memorial Scholarship Fund for the university. The University of Nebraska Foundation is an independent, nonprofit organization that has raised private gifts to support the University of Nebraska for more than 79 years. During the 2014-2015 fiscal year, donors provided the university with $212.7 million for scholarships, academic programs, medical and other research, faculty support and facilities. Our Students, Our Future is the foundation’s current initiative to secure broad support for students. For more information, visit nufoundation.org. The Fred & Pamela Buffett Cancer Center - a National Cancer Institute-designated cancer center - is a collaboration of Nebraska Medicine and the University of Nebraska Medical Center in Omaha, Neb. The new cancer center will open in early 2017 with cancer research at the Suzanne and Walter Scott Cancer Research Tower and clinical treatments at the C.L. Werner Cancer Hospital.